Spanning over 1.3 million square kilometers, the Fijian archipelago encompasses one of the most extensive reef systems in the world. Barrier reefs, atolls, patch reefs, channels, passages and fringing reefs offer everything from wild advanced current dives in shark infested passages, to calm and sheltered beginner dives along shallow, sandy bottomed patches. 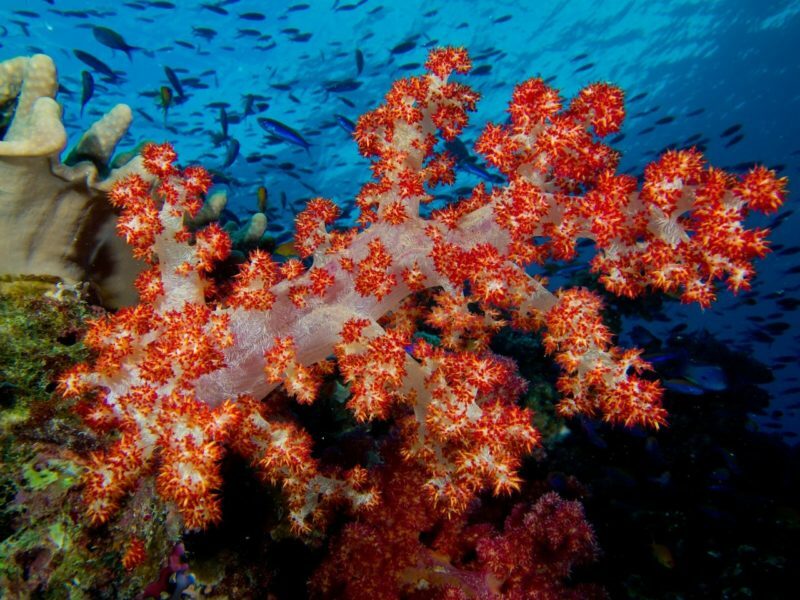 Well known as the ‘Soft Coral Capital of the World’, Fiji’s magnificent soft corals (particularly Dendronephthya sp.) thrive in the nutrient rich waters, bringing an array colour and movement to the reef. With their sheer abundance they literally illuminate deep drop offs as they gently wave into the current. However, our underwater surroundings offer a whole lot more; from Mantas to Mantis Shrimps; Sharks to Shrimps; Crabs to Clams and many other undescribed species – the reefs are teeming with life. find many interesting critters camouflaged against a kaleidoscope of colour. But don’t take your eye off the blue for too long as you may miss an unexpected visitor rising from the abyss, coming to investigate a bizarre neoprene clad bubble maker exploring his domain. To experience the very best of Fiji’s diving sites, local knowledge is key. Some areas are current dependent and you must dive at the right tidal time to get the best out of a particular site. Knowing when and where to take the plunge can be the difference between a ‘nice’ dive that satisfies your craving and a ‘WOW!’ dive that blows your mind. 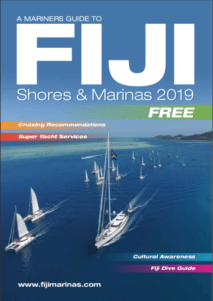 Local guides are not only able to offer such a service, but immediately recognize Fiji’s endemic marine species and can share a wealth of knowledge on their associated habitat and behavior with the interested diver. 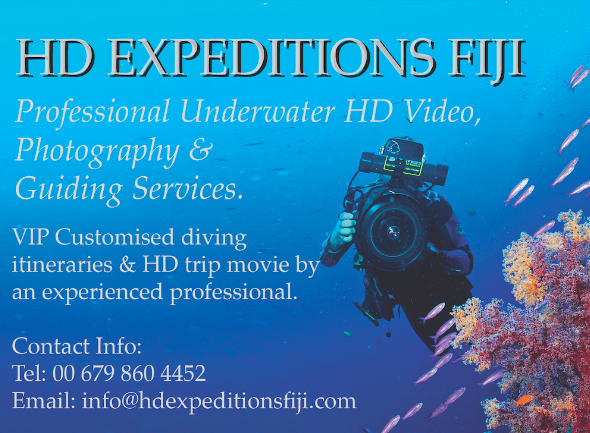 Whether you’re a visiting super yacht or cruising with the family, using a dive/video guide can enhance your experience of Fiji’s reefs. Rebreather diving makes it possible for even the burliest of man to make like a fish; stealthy maneuvering next to an oblivious octopus contemplating his next colour change. Why not give it a try? Declared a Marina Protected Area (MPA) in 1997 by the forward thinking Chiefs of the area, the Namena dive sites offer some serious world class diving. North Save-a-Tack passage must be dived on an incoming tide (recommended for advanced divers only). Huge schools of fish hang out on the drop off while grey reef sharks cruise in the current. You never know what will appear from the deep – from huge stingrays and massive dog toothed tuna to schooling hammerheads or sleek silver tip reef sharks. The bommies or pinnacles of South ‘Save-a-Tack’ are equally as breathtaking; covered in a myriad of reef fish. A keen macro spotter can find Pontohi pygmy seahorses defying the current, clinging to hydroids to evade predators. Wakaya, Gau, Makogai and Naigani make up this Group of islands to the west of Viti Levu. They are home to many of Fiji’s best dive spots, offering a range of diving experiences for the novice to advanced level diver. 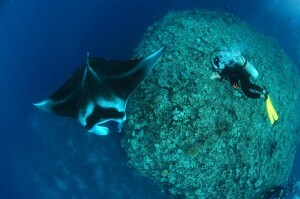 Wakaya is not just a picturesque island but also home to a resident Manta population. 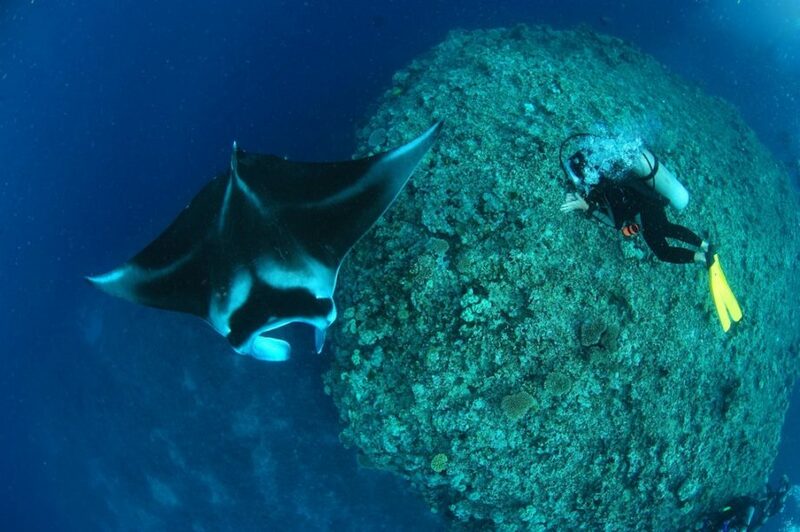 ‘Vatu Vai’ or ‘Manta Rock’ is a dive site where you can regularly encounter these majestic creatures somersaulting in the blue. The hard coral gardens on the fringing reef are teeming with reef fish including Garden Eels, Blennies, Turtles and Octopus. As you travel further south in the Lomaiviti chain, the island of Gau and the Nigali passage offer a truly unique experience. With no local dive operators able to access this area due to it’s remote location, it’s usually just you and your dive buddy! 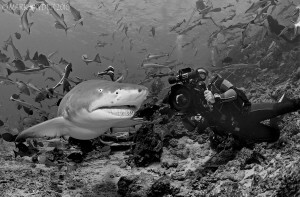 The Nigali Passage is a current swept channel where grey reef sharks convene to mate and hunt. Huge Malabar grouper, big-eyed barracuda, and banded sea snakes are some of the highlights that can be seen during dives on these reefs. To the northeast of Viti Levu is the ascendency of Fiji’s colorful coral stacked reefs. The dive sites in this area can be challenging and strong currents are common. Currents however, bring food and nutrients up from the deep and so the area is brimming with life. The advanced level drift-diving here can be wild and fun. 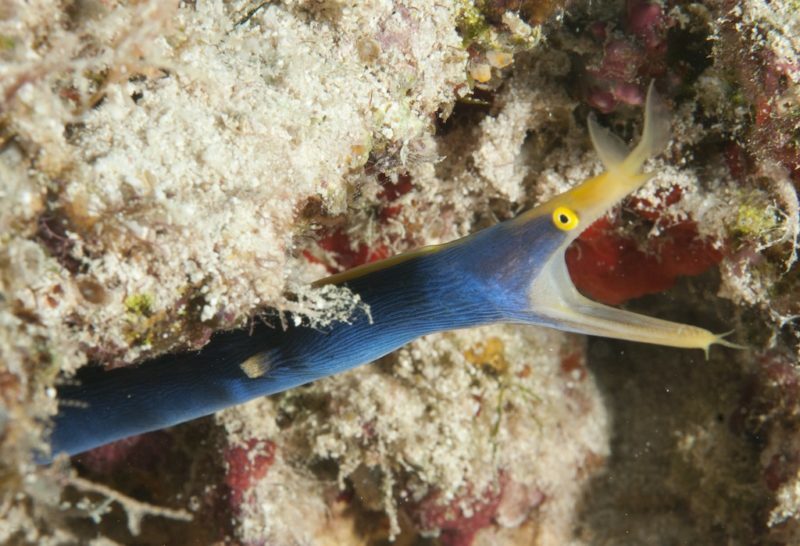 Vatu-i-Ra is home to some of Fiji’s favourite marine creatures; from leaf scorpion fish to blue ribbon eels. The Great Astrolabe Reef presents great diving for all skill levels. 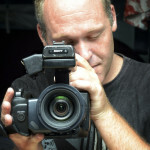 The area is best known for it’s resident Manta population, occasional whale shark encounter and large schools of fish. 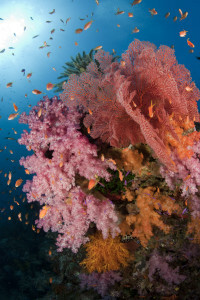 The ‘Rainbow Reefs’ of Taveuni attract thousands of divers each year. Located in the Somosomo Straights, the Great White Wall is a unique and dramatic dive site. A dense blanket of luminous white soft corals cover the sheer wall as it plummets into the abyss. The island of Taveuni is lush and tropical. Guided hikes up to scenic waterfalls & stunning scenery make it one of Fiji’s most idyllic spots. Beqa can be truly exhilarating. 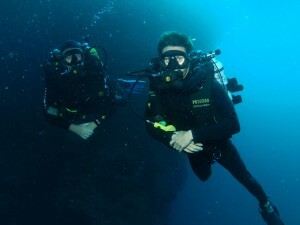 Here you must dive with a local operator where all levels of diver are welcome. The feed can attract up to eight species of shark and luckier divers may even encounter the odd Tiger Shark. Beqa Lagoon also offers some beautiful soft coral pinnacles and good diving on the outer reef. 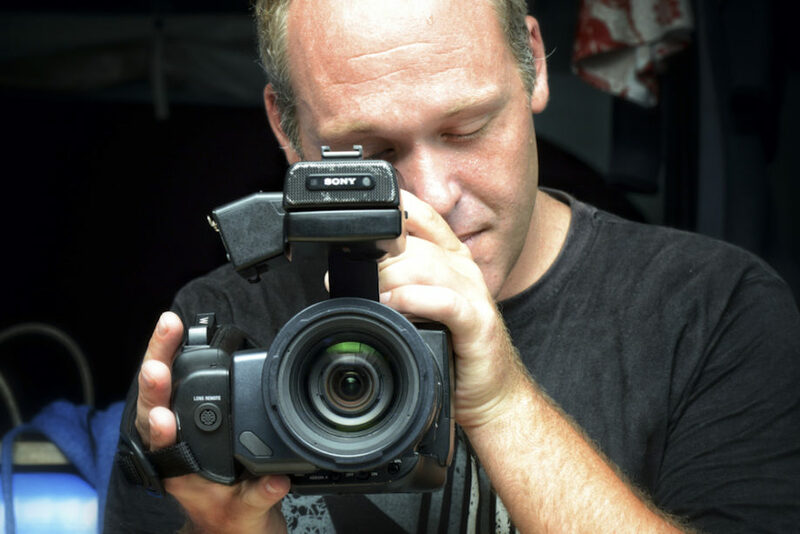 Following a life spent running live-a-boards in the Red Sea, exploring the remote islands of Indonesia; captaining dive catamarans in the Caribbean and shark diving in South Africa – fifteen years later, Sam now finds himself in Fiji. The renowned live- a-board Naia brought him to Fiji and perfectly demonstrated why so many people fall in love with our friendly isles. The Fijian reefs and people have proved that it is still entirely possible to explore an ecological Utopia! 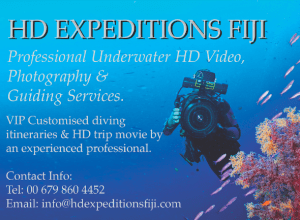 Today Sam operates as HD Expeditions Fiji, which includes HD underwater video production, cruise/ dive guiding and rebreather guide/instructor services for incoming vessels.